Guys, do you remember N.E.mation! from last year? If you could recall, I WENT TO THE USA with the winning team. It’s back again this year and the 10 teams’ Animation Clips are all ready to be voted. This year’s theme is “Together We Overcome” as you can plainly see on their logo. YOSH!! TEAMWORK. Togetherness! Wooo! Each team in N.E.mation! has worked hard for us to finally watch it. The best you can do is watch and vote for them. 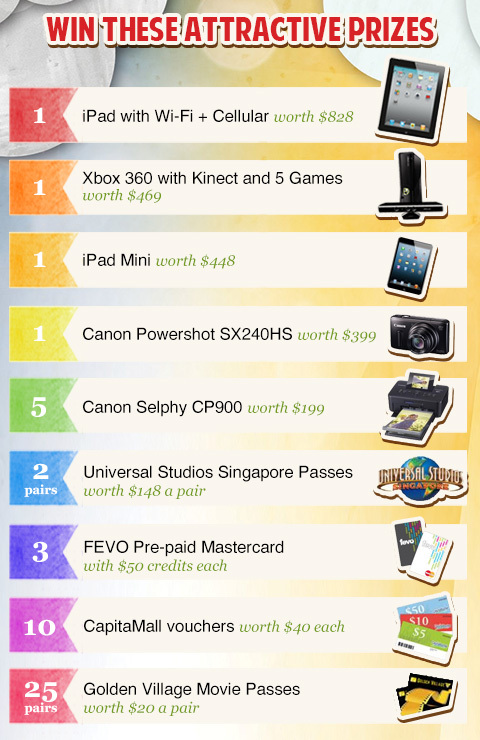 Plus… you can win prizes JUST by voting! Check it out. Nifty prizes eh? Just by watching the Animation Clips and then voting the one you like best. So freaking simple and such gorgeous items should you win any. Click the pic to see the bigger size. You can vote 4 ways and yes it means you have 4 chances to win those prizes. That should increase your probability quite a bit. FYI, the winner is drawn from voters who chose the winning Animation Clip. Plus, you need to choose 3 teams when voting. So a strategy is to use all 4 of your chances on the one who you think will win or do you spread out your votes? YOU DECIDE. Also, get your sister/brother/son/daughter/boyfriend/girlfriend/family/friends everyone to vote. Maybe they’re willing to share their prize with you if they win, ah ha ha haaa. 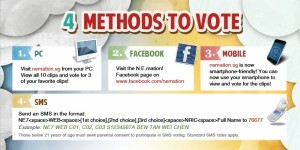 Fine print: Those below 21 years of age must seek parental consent to participate in the SMS Voting. Standard SMS rate applies. 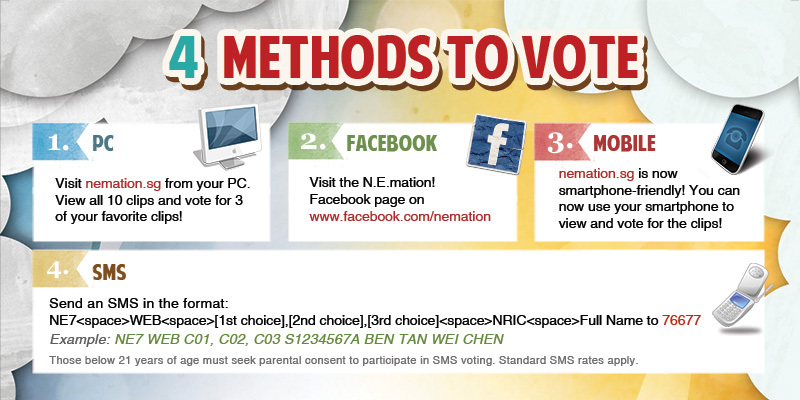 Please note that each vote must be for three different N.E.mation! 7 clips. Oh and each person is only allowed to vote once on each of the voting platforms. There you go. Watch and vote! The last chance to vote would be 7 February 2013. Next Next post: The first SG Handmade Movement!